It is inspiring to us to hear the stories behind business start-ups. In Ash’s case (founder of Nebraska Mushroom), he found a fascination with mushrooms in nature but had the creative idea of how to grow them using a non-ag space. Our team even got in on the fun and got a mushroom block from Ash to grow our own healthy crop in our break room. 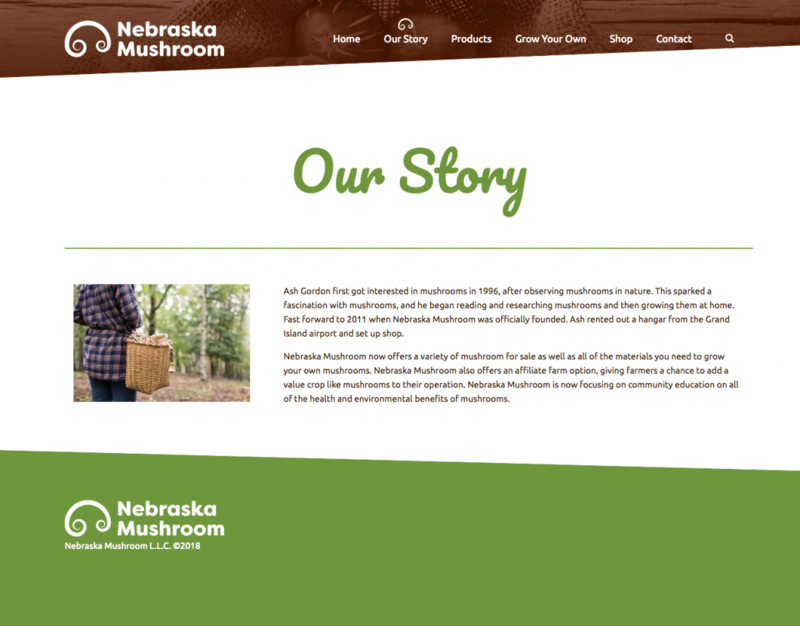 Launching the new website will help Ash continue to grow his business, educate people on mushrooms and connect with local people and restaurants that like to locally source their food. Plus, it looks super cool!